Due to all kinds of limitation from different websites or devices we need to convert files from one format to another regularly. 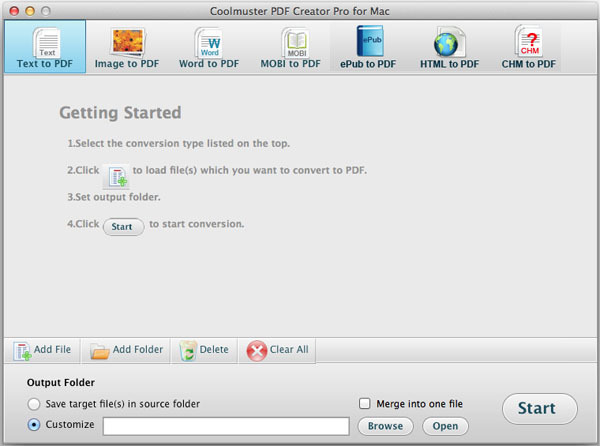 And we also need to find an ideal format to save files so that we can manage files on Mac more effectively and accordingly right Under this situation you need this Coolmuster PDF Creator Pro for Mac to be assistant to help you convert files to PDF format and share or manage files on Mac easily. With it you can: 1. create PDF files from 4+ major file formats on Mac such as Microsoft Word text files MOBI books image file etc.2. Two different conversion modes to satisfy your different converting needs. So that you can highly improve your working efficiency.3. 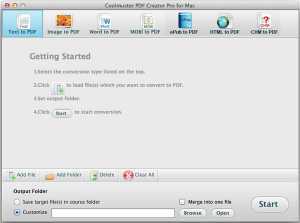 Merge files: You can combine a batch of files into one PDF file or convert files to PDF one by one as you like. 4. You are allowed to customize the PDFs page size document margins and security options. Owner password user password or detailed permissions can be applied to the output PDF files.